Happy Birthday Šatan; or, How Should a Legend Retire? The only pet I ever had was a small water turtle. I got it in the summer of 2002, and its name was Šarky (read as Shar-ke), as it was the most popular name in Slovakia at that time. You could hear it in phrases like “Šarky is God!” or “Šarky to the castle!” (in Slovakia this latter phrase doesn’t indicate any historic sightseeing, but becoming the country’s president). Šarky is not a regular given name, but it is the official nickname of Miroslav Šatan, a retired Slovak ice hockey player, who captained the national team to one gold, two silvers and a bronze in four World Championships, won the Stanley Cup with Pittsburgh Penguins in 2009 and never really said a “proper” goodbye to the ice hockey scene. On October 22, Šarky celebrated his 40th birthday and all of the Slovak media celebrated with him. However, you could sense some uncertainty about the recent position Šatan is occupying in the minds of Slovak sports fans. If the Slovak ice hockey in the era of its independence (which means since 1993) was to have a synonym in a person of a single player, then it definitely is Miroslav Šatan. He played with the senior men’s team since 1992, moreover, the very next year he was also drafted to the NHL. As just a 19 year-old lad he was part of the Slovak national team, which after the split of the former ice-hockey empire – Czechoslovakia – was demoted to the lowest ‘C’ division. However, it took just 10 years and Šatan, as the team’s captain, was raising the top divisions’ World Championship trophy above his head. Maybe he was not as iconic a player back in those times as other notable Slovaks, Žigmund Pálffy, Peter Bondra or Pavol Demitra, but he definitely was considered to be the one defining the style Slovaks played. Šarky was not the only popular nickname he got – in the NHL he was also known under the label “Silent Killer”. 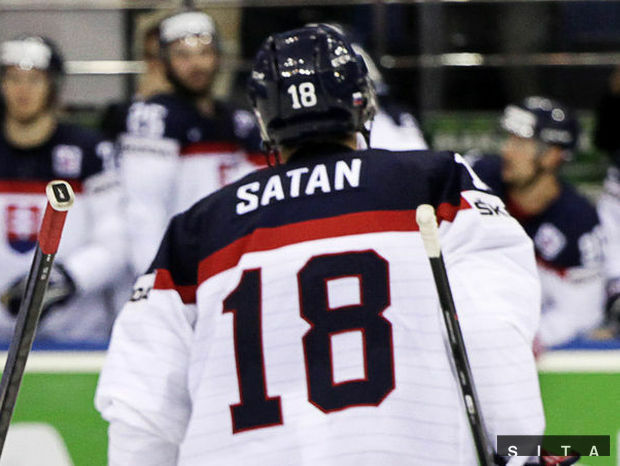 With the mischievous goatee and sharp eyebrows, moreover with his surname on the jersey written without the proper accents, his teams wouldn’t have to fear anything as they had “Satan” on their side. Despite looking a bit devilish, he was known for his friendly personality and quite a high intellect. As one of few athletes, he would often be invited into discussion programmes on various critical topics. The “Devil” had dibs on the jersey number 18 for about two decades. Who gets to wear it next? This is the first season that Miroslav Šatan has decided not to come back to the professional ice hockey scene. Using the phrase “come back” is very adequate, as he had a few comebacks in his career already, and that’s perhaps why is everyone still expecting him to come back once more. Very notable are his constant negotiations with the Slovak KHL team Slovan Bratislava, which in the past few years he would tend to join in the midseason, after some humble hesitations and talks about ending his career. Though in the past few years for various reasons he was not very active on the national team, therefore letting other players wear the ‘C’ on their jerseys, he is still considered to be the ultimate Slovak team captain. Even when he had his recent conflict with Zdeno Chára, otherwise a good friend of his, which resulted in a situation where these two wouldn’t play on a team together, and Chára was awarded with the captain’s position, a lot of Slovaks felt there was a serious harm done to Šatan and that the team didn’t perform well only because Šatan was not the captain. Obviously, Šatan cannot be the national captain forever, but how do you explain this to the public, to whom Šatan is implicitly the synonym to the Slovak team? Simply by stating that “he retired, deal with it”? What about acting as a possible future career? 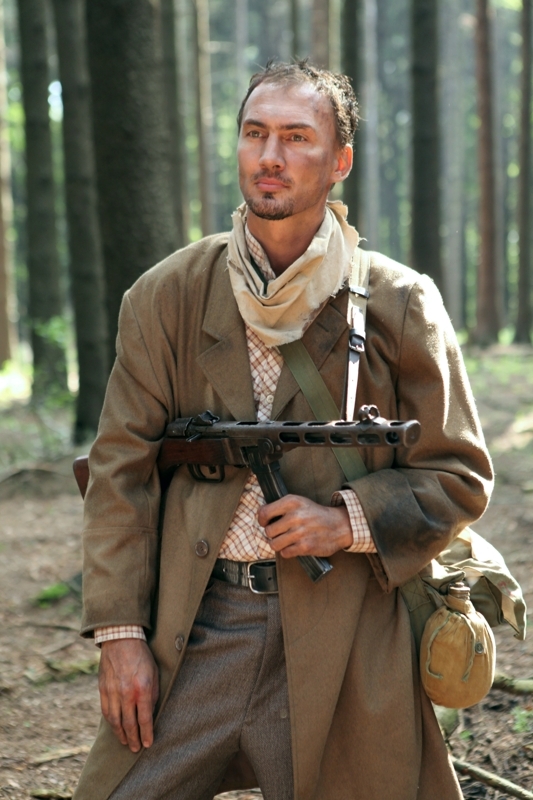 This is Šatan playing a Slovak partisan in a WW2 re-enactment project of the Slovak television. Maybe there is a part of the national mentality that is in favour of big personalities and cannot really detach from their cults. However, not many have problematized this in connection to professional athletes. Sociologists would say that the “personality cult” is applicable also to sportsmen, however in practice, how should these living legends end their careers? A cynical remark regarding the Slovak mentality would lead me to say that sure, if these cult athletes want to end their careers, they better end them with style. That’s how big people end, right? Perhaps a harsh example might illustrate this – it is the recent tragic death of another popular Slovak ice-hockey player, Pavol Demitra, who died in a plane crash together with his KHL team Lokomotiv Yaroslavl. After this tragedy, his personality got one more, let’s say “sacred” dimension. Even three years since his death, the public mourning is not really over – a commemorative movie about his person has been released this summer, not to mention all the biography books written about him already. An important thing to note is that, only a few months before he died, Demitra ended his representational career with an emotional goodbye, after he captained the Slovak team at a failed performance at the 2011 World Championships in Slovakia. His career ended, both metaphorically and literally, with a “style”, and people will remember him forever. So do the sport personalities really need to end their careers with such a drama? Or just like the Czech Mohican, Jaromír Jágr, should they never end? Well, Miroslav Šatan is 40 years old now, he can still have some sort of a comeback and reclaim his cult position on the Slovak sports scene. But is the public willing to wait?